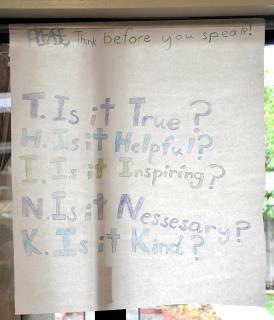 Beautiful Sun Montessori: Before you speak. My trainer Ginni said in my training: "With young children keep it brief but true." And that is more difficult to do than it sounds.